Thelma N. Bergerson, 89, a former longtime resident of the Vernonia community, late of Cornelius, died Saturday evening, August 18, 2018 at the Thanksgiving House Adult Foster Care Home in St. Helens, Oregon. Aug. 21, 2018 AUNE, Howard Allan, 78, of Seaside, died in Portland. 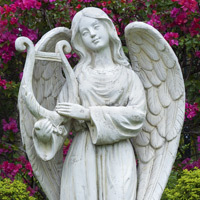 Caldwell’s Funeral & Cremation Arrangement Center of Seaside is in charge of the arrangements.